Imagine the possibility of waking up in the morning and not needing to immediately reach for your glasses in order to be able to see the alarm clock clearly. Such a simple thing, but for millions of people, this is an everyday occurrence and these individuals find themselves relying on putting on glasses or putting in contact lenses just to be able to start their day with some clarity. According to the Vision Council of America, 75% of adults use some form of vision correction to help them get by day to day, with as many as 64% of that number opting for glasses over contact lenses. The trouble is that wearing glasses or even contact lenses can mean that you need to make some compromises in your life. This could be the nuisance of remembering to take your glasses everywhere you go in case you need them or being unable to participate in certain activities such as swimming or snorkelling. Perhaps you dislike your appearance when wearing glasses, or you suffer from hayfever and other seasonal allergies which makes wearing contacts impossible. Whatever is causing your dissatisfaction with prescriptive eyewear, you may well be considering an alternative that could substantially reduce or even eliminate your reliance on glasses or contact lenses - laser vision correction. Laser vision correction is the most common elective surgery in the world today, and is responsible for improving the eyesight of more than 30 million people. That is around twice as many people who have had some form of cosmetic surgery! This procedure works by using laser technology to reshape the corneal tissue in the eye, which in turn corrects the way that light is refracted and transmitted onto the optic nerve. In reshaping the cornea, it is possible for laser eye surgeons to correct the refractive eye errors that are most commonly responsible for patients to be reliant on prescription eyewear. This includes near-sightedness, far-sightedness and astigmatism. With so many people choosing laser vision correction, it is obvious that the procedure offers some unrivalled benefits to patients. So, why are more people than ever electing to undergo laser vision correction? Obviously, by far the biggest benefit of laser vision correction is improved vision. 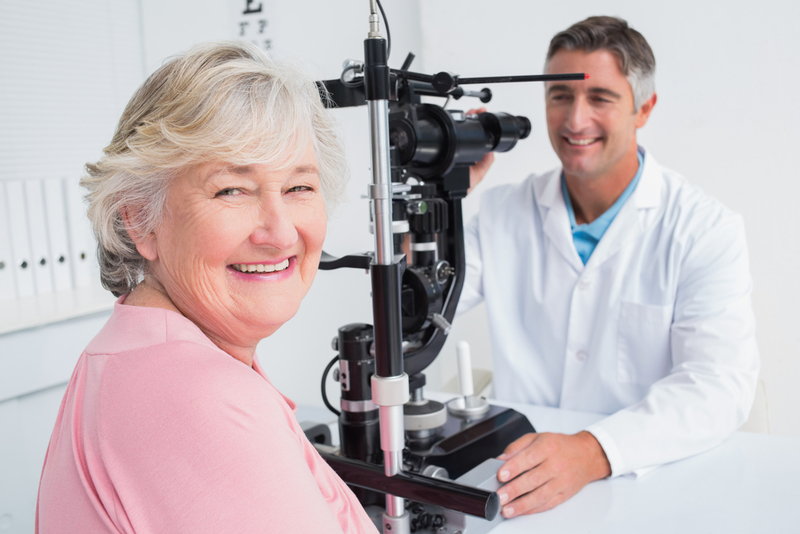 Most patients, depending on their individual vision problems, will see at least an 85% improvement in their vision. Many will find that they can ditch the glasses or contact lenses altogether – how fantastic! Laser eye surgery can be carried out in just a matter of minutes, and although your eyes may feel a little uncomfortable for a short while afterwards, the process itself is painless and recovery simple and straightforward. You will be able to return home immediately afterwards and will see an improvement in your vision within a few hours. No more rushing around to find your glasses, no need to avoid certain activities for fear of not being able to see properly. Life is much simpler when you can see clearly without glasses or contact lenses. While glasses don’t have the same stigma that they once did, and in fact are often considered very on-trend, many people still experience a big boost in their confidence and self-esteem once they are no longer reliant on wearing them. If you wear contact lenses, you are constantly at risk of irritation and infection as you need to regularly touch your eyes. Your peepers can also be irritated by dust, smoke and other allergens that can make them sore. If you no longer need to wear contacts, these issues should be virtually eliminated. The vast majority of patients who opt for laser vision surgery enjoy permanently corrected vision. This can help reduce the inconvenience and cost of changing prescriptions and quite so many visits to your optician! If you would like to discuss the myriad of benefits associated with laser vision correction further, or to schedule a consultation appointment, please contact our offices and speak to our skilled and experienced team.